I’ve been making this for years. Making it? I’m not really sure. More like….assembling some things that taste really good. You’ve had this before, right? 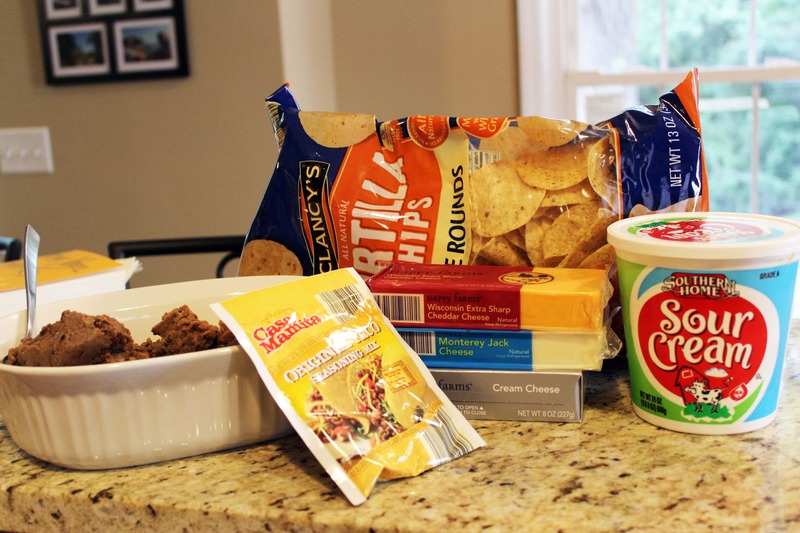 Refried beans, Mexican flavors, lots of cheese? So easy, and there’s NOTHING special about mine. Which, maybe, is what makes it SO special. Think on that for a moment, eh? 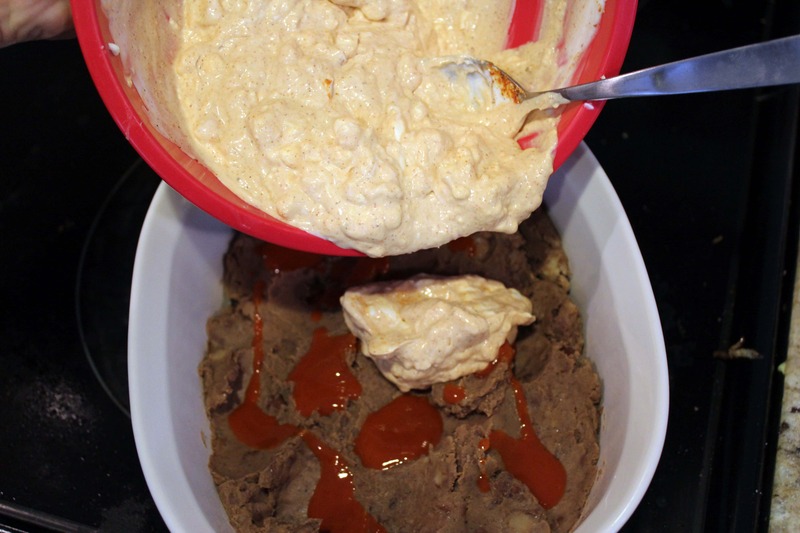 Refried beans – make your own here! You’ll need 2 cans, or 3-ish cups total. 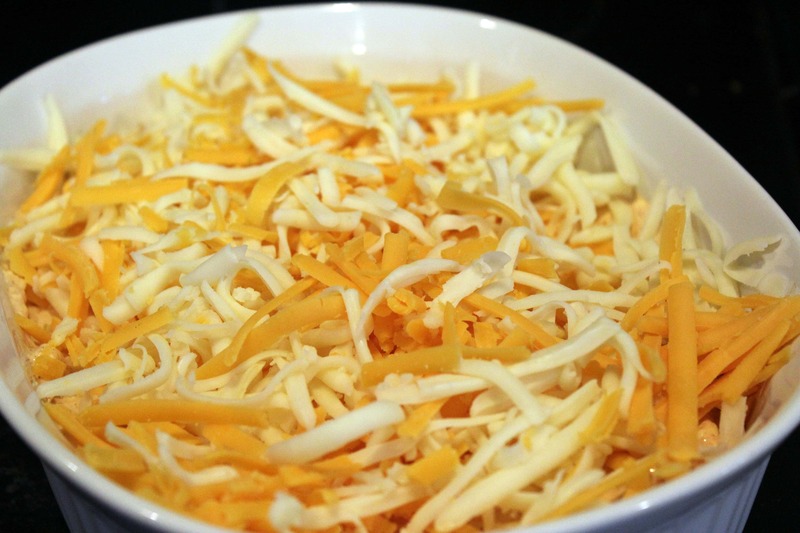 8 oz cheese – I use a blend of monterrey jack and cheddar – your choice here, too! Easy easy EASY. 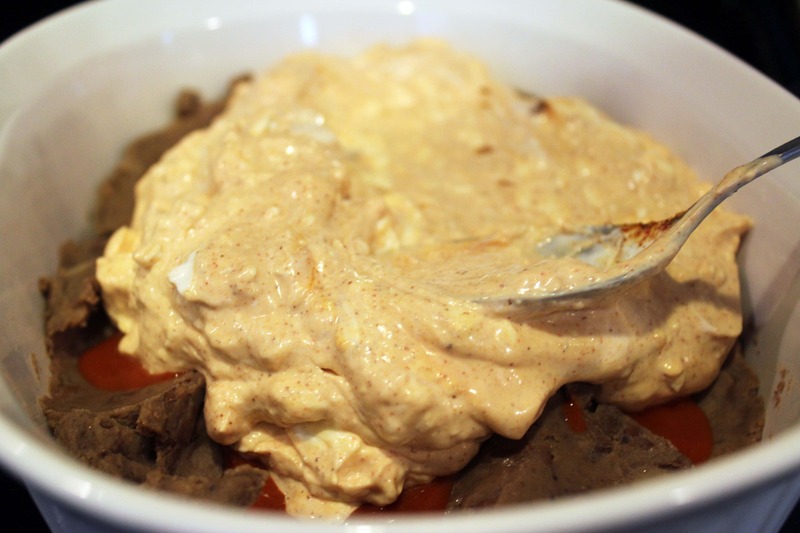 I’ve mixed this up over the years, sometimes mixing ground beef with the beans, adding chopped onion and jalapeno to the cream cheese….you can get creative with this based on what you’re feeling and what you have on hand! Homemade beans are a nice addition, though. So. 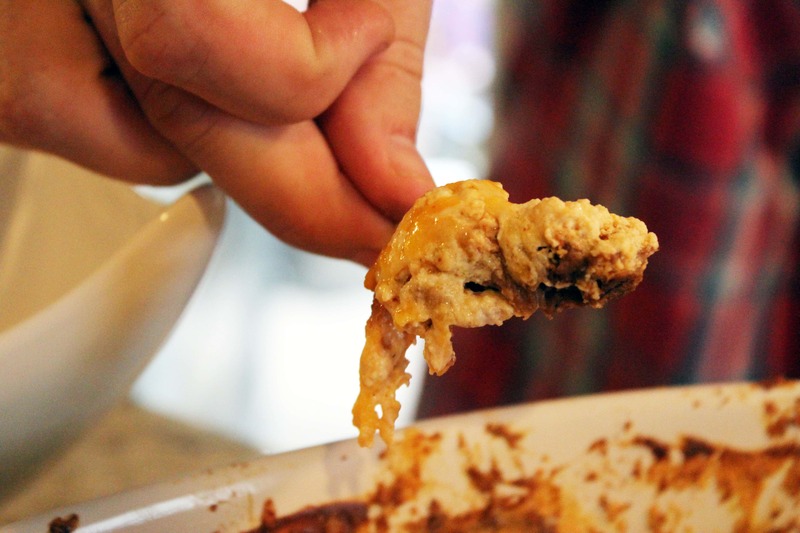 You spread the beans in the bottom of a large casserole dish. If you’re using hot sauce, drizzle the beans with as much hot sauce as you’d like. 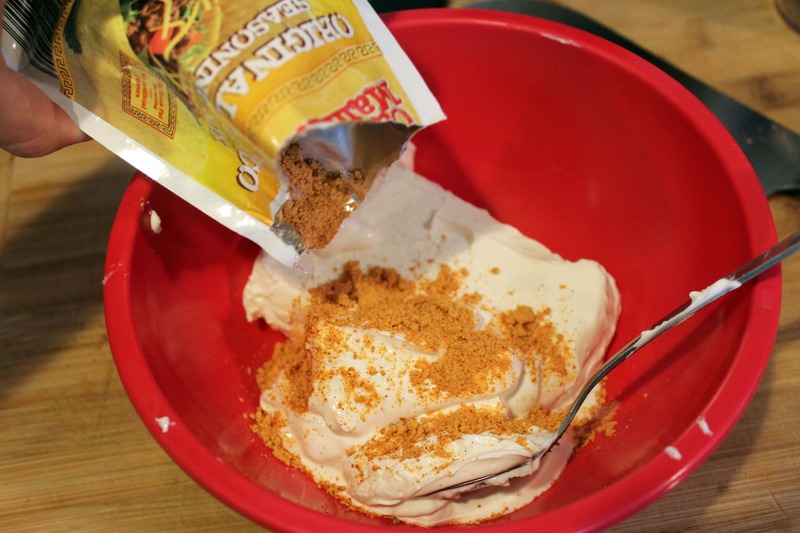 Then, mix the cream cheese, sour cream, and taco seasoning in a small bowl. 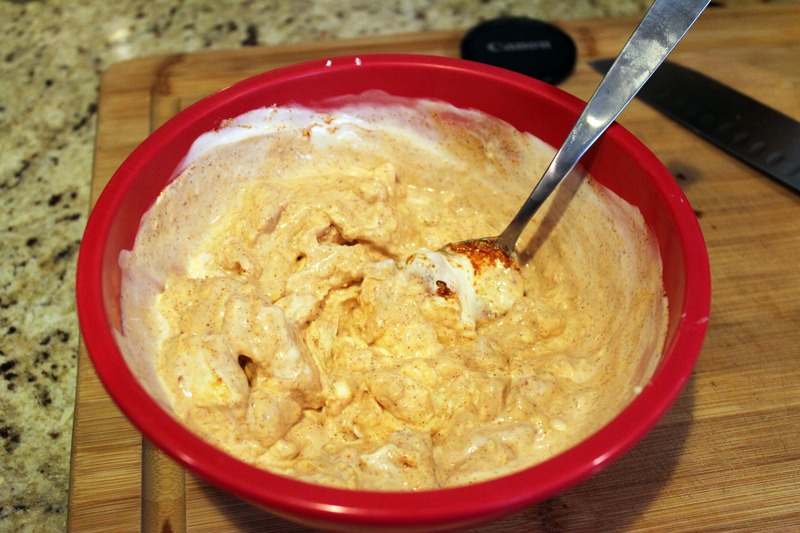 Microwave it for 15 seconds if the cream cheese is still hard! Try not to eat this all by itself. Spread the cream cheese mixture on top of the beans. 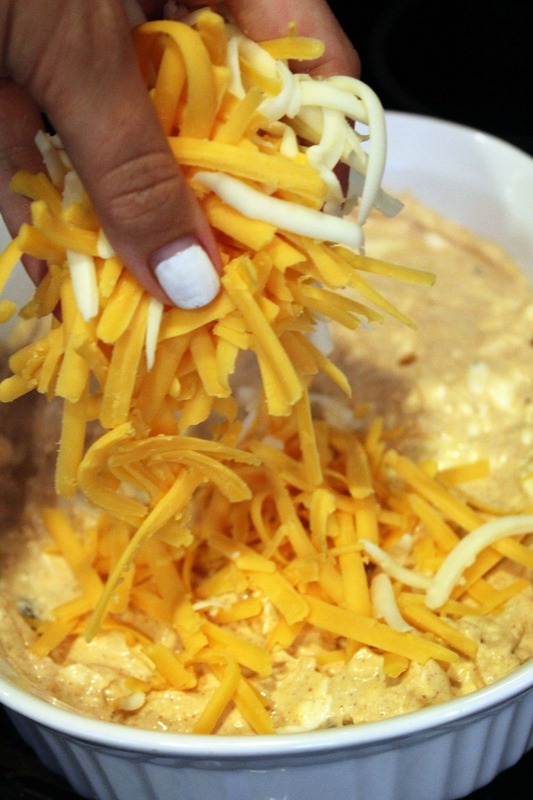 Then, grate the glorious cheese and sprinkle it all over the top of everything. I seriously love this. It’s such a great party stand by! Now, you can make this up to a WEEK in advance and just bake it when you want to eat it! 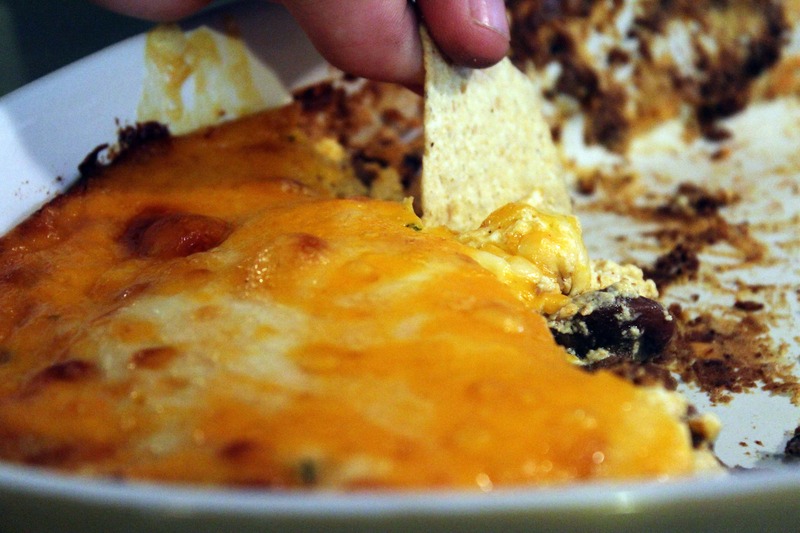 When you’re ready to bake and eat the dip, put the casserole dish UNCOVERED in a COLD oven. There’s a method here, people. Then, turn the oven to 375F and bake for 30 minutes or so. 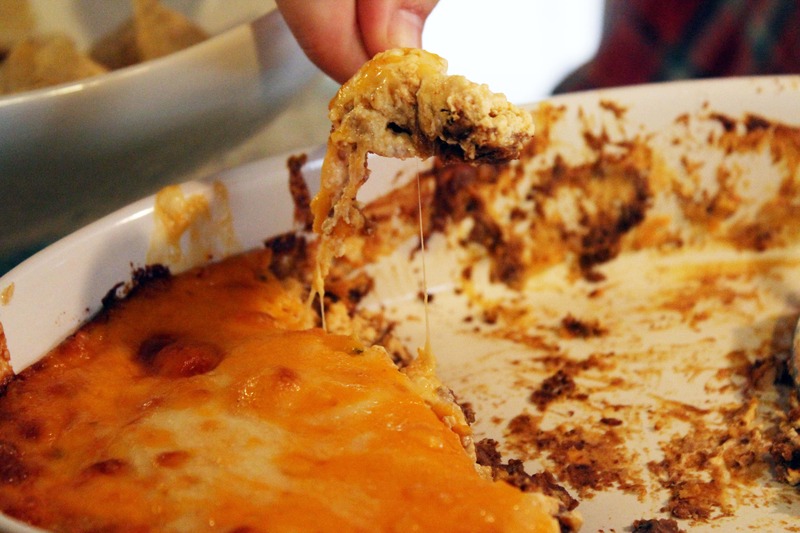 This works because the dip (which may have been in the fridge) can heat through slowly while the oven heats up, and when it reaches 375F the cheese can get nice and brown on top but the middle will be cooked through as well! You’re welcome for this mind-blowing knowledge. Take this to your next party! Previous Post: « Have Some Fun This Weekend! 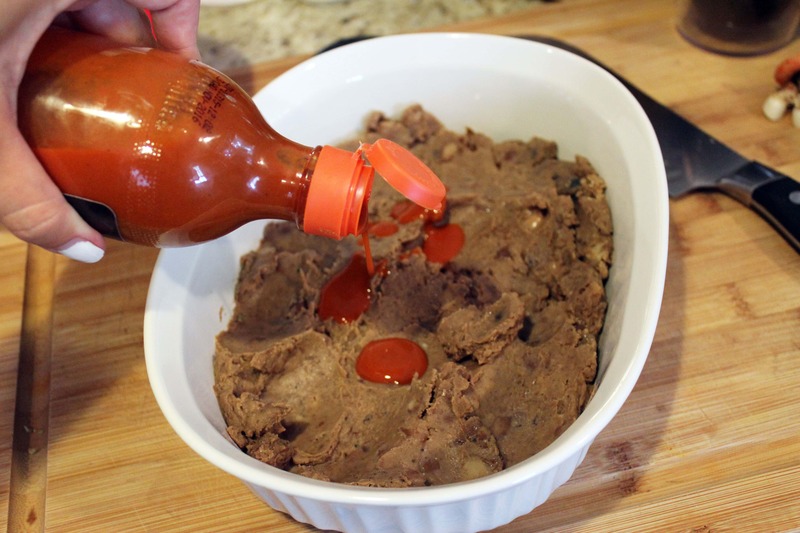 Its probably awesome because you made your own refried beans!! Thy definitely add something! I use cans all the time, tho ugh, and it’s still a hit! Oh my this looks so delicious. I’ve never made bean dip. I got to give this a try soon.